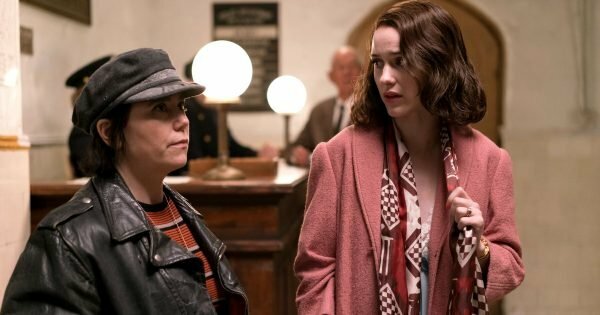 The Marvelous Mrs. Maisel season two review and where to watch. The Marvelous Mrs. Maisel is the most magical show on TV. Are you really not watching it? This week, something truly amazing happened. The second season of The Marvelous Mrs. Maisel was released worldwide (here in the land of Aus we can watch it on Amazon Prime Video) meaning that we now have a whole season’s worth of new episodes of the most magical comedy-drama on TV to indulge in. It’s pretty much a feeling akin to opening your fridge after a long day of work and finding it overflowing with macaroons and French champagne. However, even though The Marvelous Mrs. Maisel hails from a well-loved TV creator (Amy Sherman-Palladino, the creator of the iconic series Gilmore Girls) and has won a slew of high profile awards (two Golden Globes and five Emmy Awards, including Outstanding Comedy Series and Outstanding Lead Actress in a Comedy Series), it really hasn’t gained the traction in Australia that it should have. And that’s something we very much need to change. I first sat down to watch Mrs. Maisel with the safe expectation that I would like it. As a longtime fan of Sherman-Palladino’s work and with the knowledge that the show is set in the glossy world of Manhattan, in the ’50s I knew it would be a fairly enjoyable TV watch. So I hit play, grabbed a pen and flipped open my notebook to jot down review notes for the piece I was planning to write. Fast-forward three hours later and I had not taken my eyes off the screen as I churned through episode after episode. The pages of my notebook remained empty and my pen lay forgotten on the floor, all because the story unfolding before me was so brilliantly written, so smart and funny and heartwarming and nothing like I had ever seen on TV before. I forgot all about reviewing and just happily sunk completely into the world of Mrs. Maisel. Alex Borstein and Rachel Brosnahan in The Marvelous Mrs. Maisel. Source: Amazon Prime. If you&apos;re not familiar with the show, the plot kicks off a little like this. Miriam "Midge" Maisel (played by award-winning actress Rachel Brosnahan) is an upper-middle-class housewife and mother of two with a wicked sense of humour. 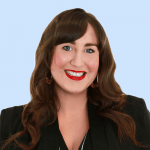 However, she spends most of her time supporting her husband Joel (Michael Zegen), a businessman who is trying to make it as a stand-up comedian, by booking slots at comedy hot spot The Gaslight Cafe. Their somewhat idyllic New York life comes crashing down when Joel confesses to Midge that he has been having an affair with his secretary, packs a bag (one of her bags, to be exact) and leaves her. Midge then proceeds to get very drunk and finds herself back at the Gaslight Cafe where she does a surprise set, blows the audience away with her bawdy humour, and one short tussle with the police and an arrest later, she has an agent and is trying to make it in the world of stand-up comedy. 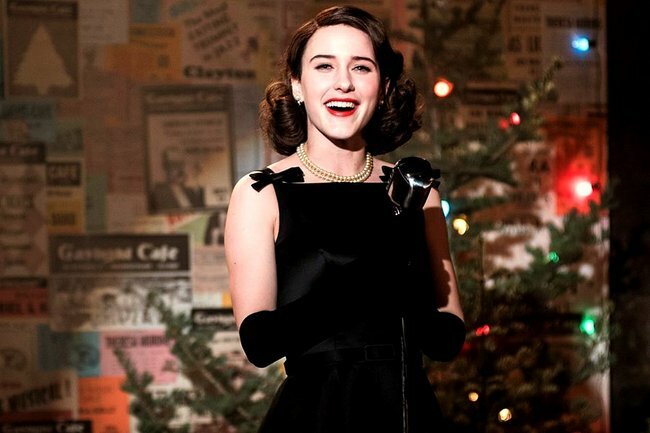 Some TV shows only have one great season&apos;s worth of storylines in them, but The Marvelous Mrs. Maisel is just as sharp and sparkly on its second season outing as it was the first time I fell in love with it. Where The Marvelous Mrs. Maisel most strongly mirrors the beauty of Gilmore Girls is in its strong and humorously written cast of supporting characters. Along with our heroine Midge, season two of the series brings the rest of our favourite Mrs. Maisel characters back into the comedy spotlight. Midge&apos;s parents Rose (Marin Hinkle) and Abe (Tony Shalhoub), who she still lives with in season two, are still eccentrically entertaining and this time they both have much meatier storylines to play with. A few hiccups in their marriage sees the cast relocate to the streets of Paris for the first few episodes, which leads to a series of scenes so beautifully performed that you&apos;ll find yourself in fits of laughter one minute and dissolving into tears the next. Most of the cutting and brilliantly timed comedic moments in season two go to Susie Myerson (played by Alex Borstein who, fun fact, was originally meant to play Suki in Gilmore Girls) as Midge&apos;s brutally honest yet endearing manager. The writing on this show is a thing of wonder, but the script comes to life the best when Midge and Susie, who are two women from completely different worlds, are bickering and hustling and kicking goals. Explaining the magic that is Mrs. Maisel is a near impossible feat, so instead of writing thousands more paragraphs of flowery praise for the dramedy (which I easily could), I will just tell you to go and watch it. Sign up for an Amazon Prime Video trial and spend a weekend with Mrs Maisel. We all need a little magic in our lives right now, and that&apos;s just what you&apos;ll find in this series. The Marvelous Mrs. Maisel season one and season two are available to watch now on Amazon Prime Video. Want more from Laura Brodnik? Visit our newsletter page and sign up to "TV and Movies" for a backstage pass to the best movies, TV shows and celebrity interviews (see one of her newsletters here).